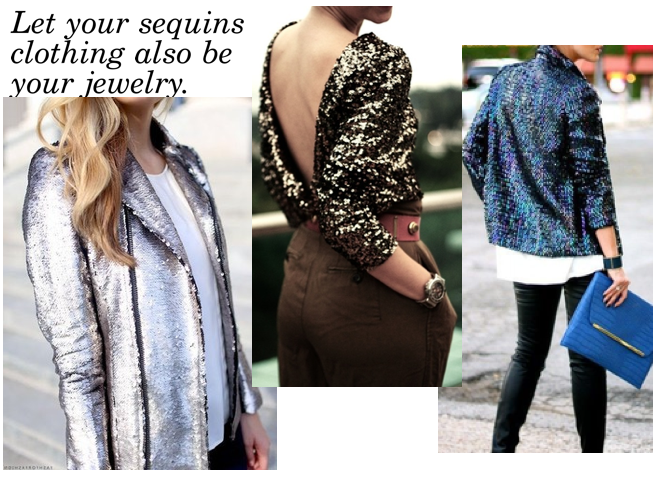 Style Tips: How To Wear Sequins after the Holidays? Jeweled, glittered or sparkling pieces don’t always have to be worn around the neck, wrist or finger. Let your sequins clothing do double duty as garment and accessory in one.